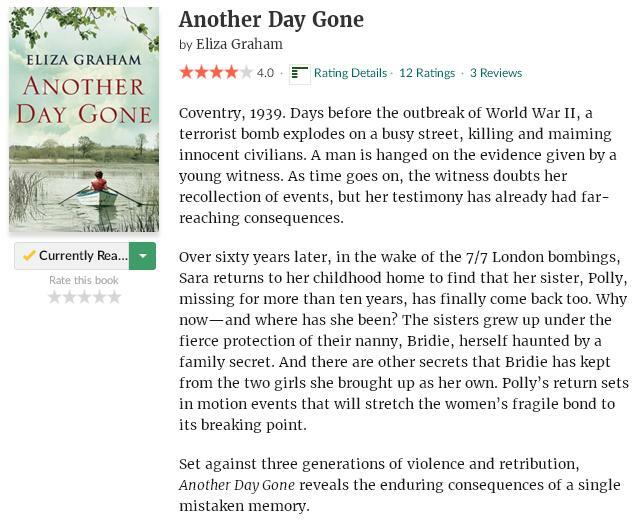 This entry was posted in Book Memes, Teaser Tuesdays and tagged another day gone, book memes, eliza graham, teaser tuesdays by Yvo. Bookmark the permalink. Great to hear you are enjoying Gemina! I really have to pick up my copy soon as well. I almost always enjoy books that span several generations, and this sounds like a good one. I’m not too far into it, but so far it’s interesting. If you like stories that span several generations, I can recommend Homegoing by Yaa Gyasi as well. I read this historical fiction novel not that long ago and it’s truly interesting.